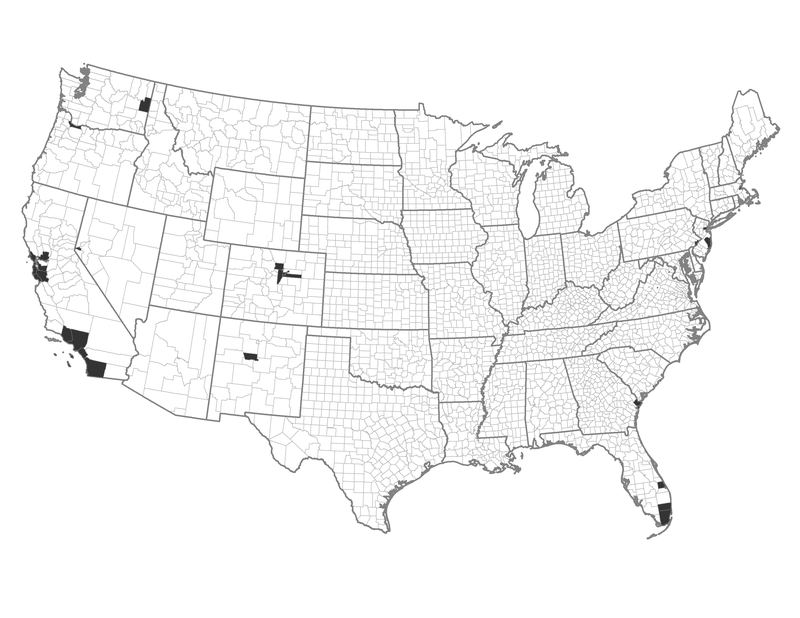 These counties have had intensive conflicts between high human population and large, destructive wildfires. These counties are typically of higher advantage and regularly lose structures to wildfire. Primary emphasis will be on community protection, reducing ignitions and response. Use of buffers could become an important tool. Example of a Typical County — Los Angeles County, California: Los Angeles County is nearly one third federal with much of the rest urban. Frequent human ignitions and flammable fuels lead to land use conflicts and costly suppression. The majority of this combo has low risk to large wildfires, though some counties have high risk to large wildfires with less potential for resource benefits. Strategic use of fuel breaks may be warranted. Prepare for large, long duration wildfires. Protect structures and treat landscape fuels. Protect structures and target prevention of ignitions.